– 20 lessons. Each lesson provides between one and two hours of classroom time. The downloads are perfect. Just what I needed. I am used to having a book, but really for my classes this is better because I can make perfect copies and noone has to buy a book. I really like how professional and well thought out each lesson is. I’ll be back for more, I’m sure. “shopping” AND pick up my “merchandise” right here in my office. What service! I have been using your program for 4 weeks now and with great success. Being my first time teaching english I did not really know what to expect, but have found that I really enjoy it very much! A lot of the stress was relieved to not have to create my own program or spend all my time creating lesson plans. I find it easy to use your program and it allows me to move and flex with the needs of the students. I am surprized at how fast the students are learning and have even had many other people in the community ask if I might help them learn English as well. So Thank you again. Part 2 continues from Part 1, with Lessons 21 – 40. How to Access your Download after purchaseAfter payment, click on”Download Purchase”You will also receive an email with your download link – If you do not see the emailafter 1 hour, check your SPAM box. Module 1 is designed for absolute beginners aged 13 and older. Suitable for Middle School, High School, Teen to adults. 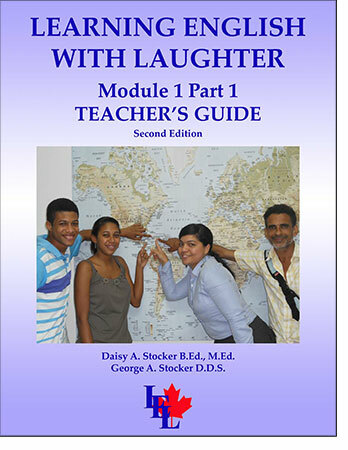 This textbook is for absolute ESL EFL beginners!